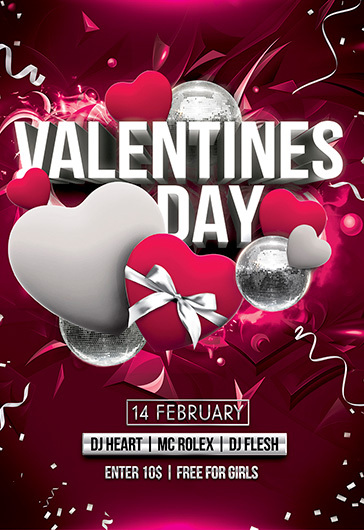 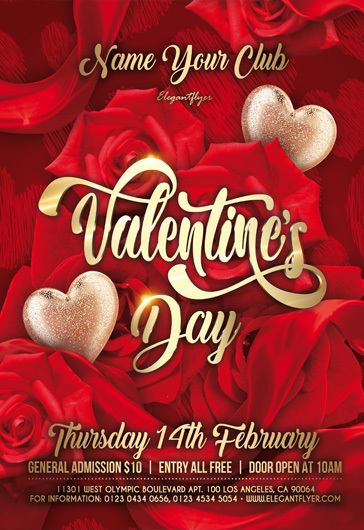 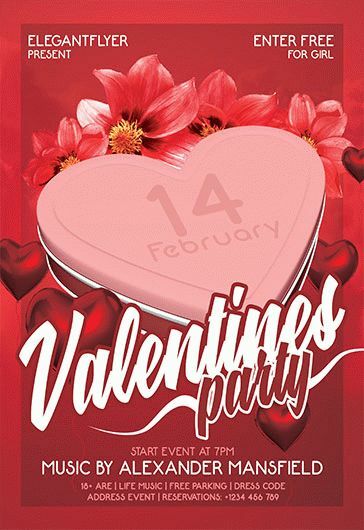 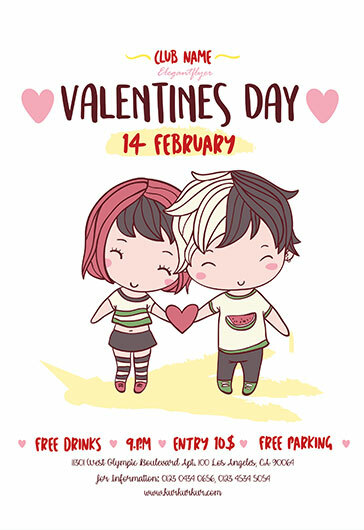 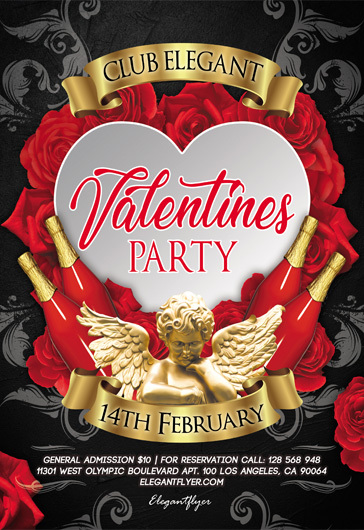 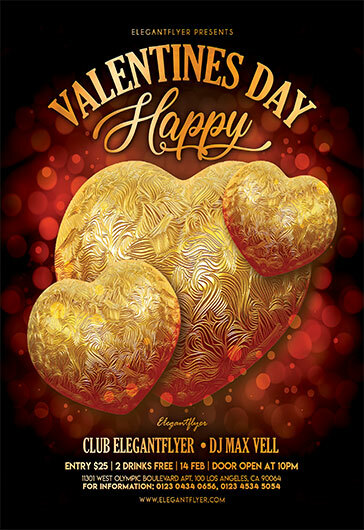 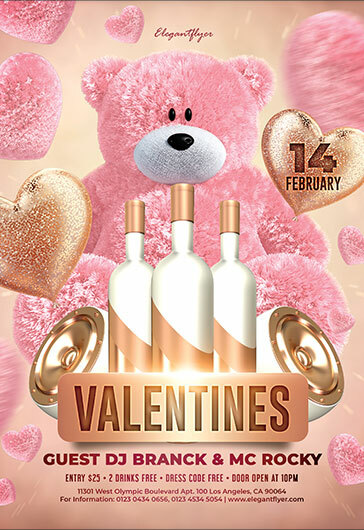 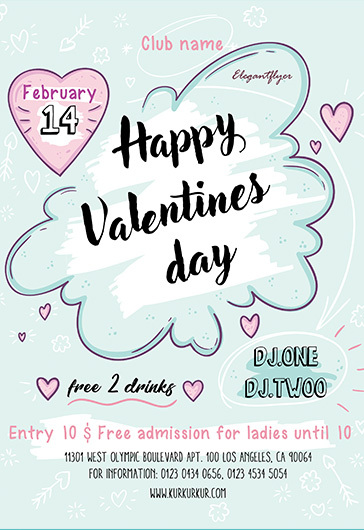 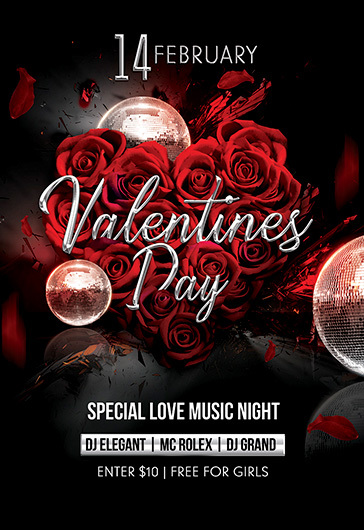 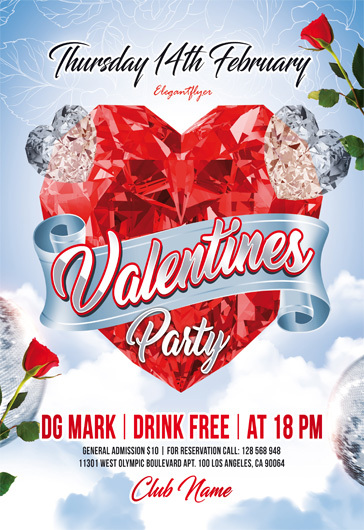 In this category we have a wonderful collection of lovely Valentine’s PSD flyers for any taste. 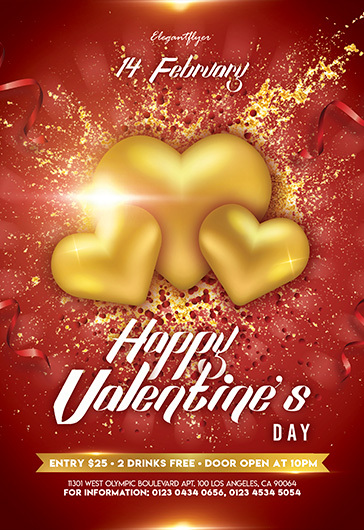 You can download any of them right now and start to congratulate your loved ones. 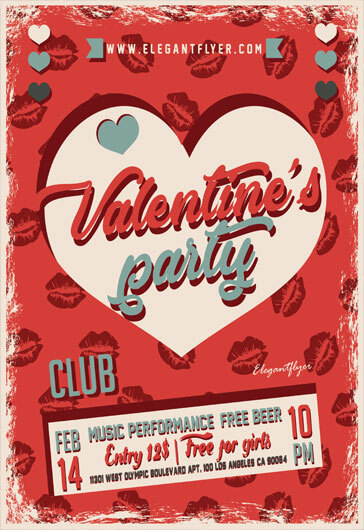 All of them can be used as invitations or promotional posters for night clubs, restaurants and bars. 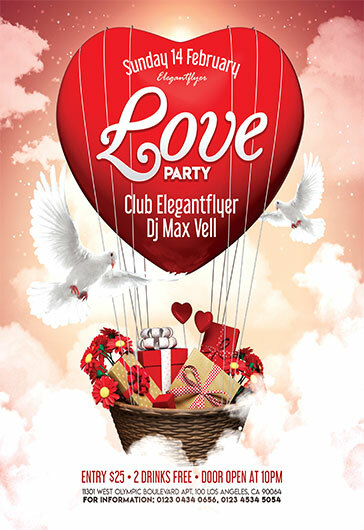 All the flyers are full of red hearts, and white birds that symbolize pure love and happiness. 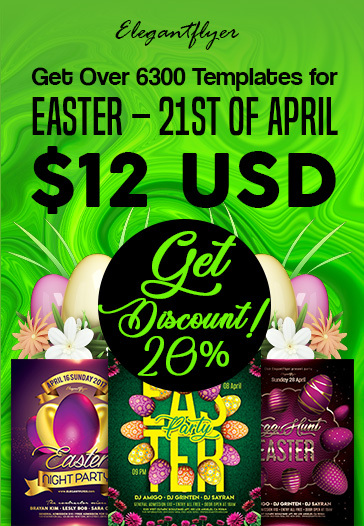 Choose the one you like more or purchase all you like for your collection! 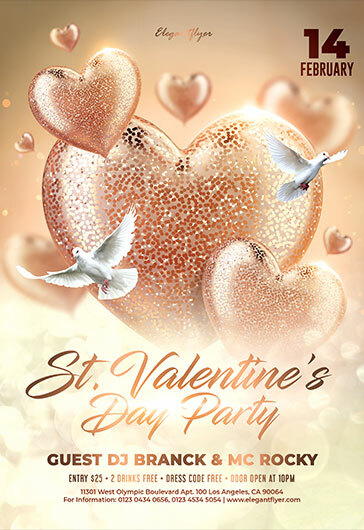 We are really proud to draw your attention to our really big and beautiful Premium Valentine’s Day Templates! 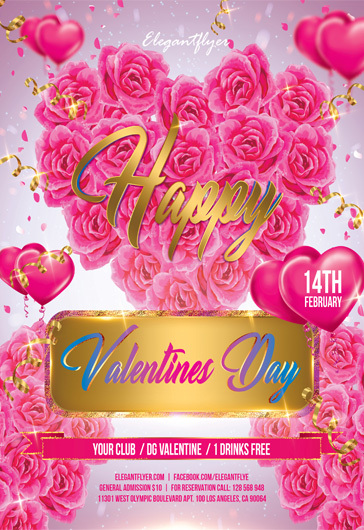 Choose the best flyer exactly for promoting a night club party, home party, congratulating your loved ones and promoting any business ideas dedicated to this special holiday. 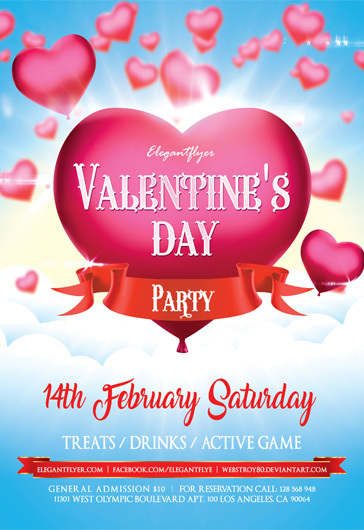 The greatest benefit of using our invitations is their quality and style. 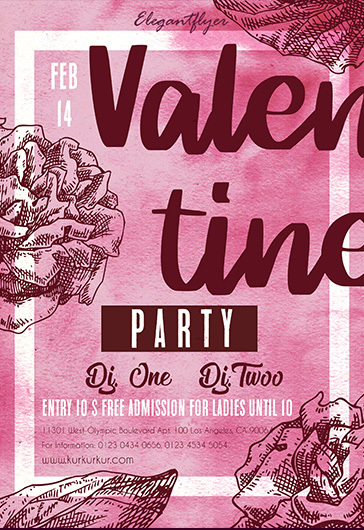 All our PSD flyers can be customized in Photoshop. 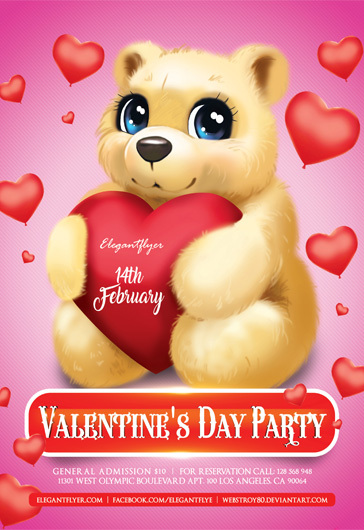 Many different qualitative templates are waiting for their owner. 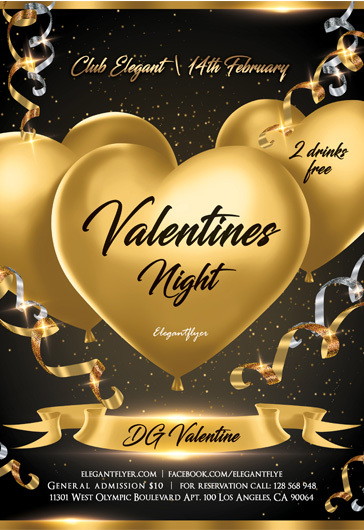 Download and enjoy!